Hot spots are one of the most frustrating skin conditions your dog can get. These painful sores spring up overnight and can recur over and over again, driving your dog into an itchy frenzy. Luckily, there are things you can do to treat and prevent hot spots on dogs. The scientific term for hot spots is acute moist dermatitis. While not serious, these hot, red, oozing lesions can arise in just a few hours, and hot spots can cause your dog a considerable amount of discomfort. Hot spots on dogs are self-induced. Dogs create hot spots by repeatedly licking and itching at a spot on their body, which eventually leads to an area of traumatized tissue known as a “hot spot.” This cycle repeats as the irritated skin created by the hot spot begins to itch, leaving owners frustrated and dogs incredibly uncomfortable. While your dog might be directly responsible for creating the hot spot, there is usually an underlying cause for your dog's itching that you need to address in order to fully treat the hot spot. This is often easier said than done, as any disease or irritant that causes itching can lead to hot spots. The best way to determine the underlying cause of your dog's hot spots is to schedule an appointment with your veterinarian. Your vet can run some tests to see what is causing the itching, which helps narrow down the options. While something as simple as a bee sting can cause a hot spot, some of these underlying issues are more serious and likely to cause reoccurring hot spots down the road. 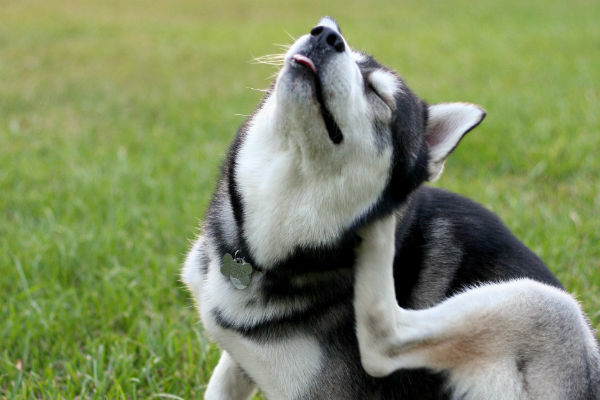 As long as the issue persists, your dog will continue to itch, leading to still more hot spots. Some hot spots are caused by an underlying bacterial infection, but all hot spots are vulnerable to contracting a secondary bacterial infection after formation. Bacteria love warm, moist environments, which means that your dog's hot spot can quickly turn into a breeding ground for unpleasant bacteria if you don't treat it. There are risk factors that predispose certain dogs to hot spots. Some breeds are more likely to develop hot spots than others, especially long-haired or thick-coated breeds like Golden Retrievers, St. Bernards, German Shepherd Dogs, Labrador Retrievers, and Rottweilers. Hot spots are also more likely to occur during the summer, especially during periods of hot weather and high relative humidity. Hygiene can play a role in hot spot formation, too. Dogs with matted or dirty coats have a higher chance of developing hot spots, as do dogs that spend a lot of time exposed to rain or swimming. If your dog has a hot spot, don't feel guilty. Hot spots are not always a sign of neglect. Dogs that are groomed regularly can still develop hot spots, much to their owner’s frustration, and some dogs are just more likely to develop hot spots than others. Many skin problems on dogs present similarly to each other, so how do you know if your dog has a hot spot or something else? The best way to diagnose hot spots is to ask your vet, of course, but there are some symptoms to look out for. Once your vet diagnoses your dog with hot spots, he or she will discuss a treatment plan with you to help your dog recover. Treating hot spots takes several steps. 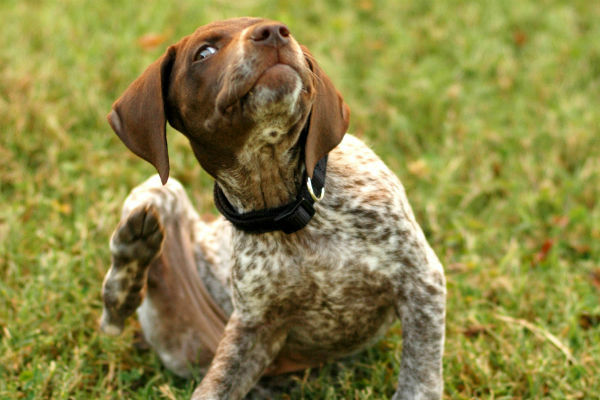 Your vet will want to establish the underlying cause of the itching as soon as possible to interrupt the itching cycle. This will prevent your dog from continuing to irritate the hot spot and from forming additional hot spots. Once the cause is established, your vet will want to make your dog comfortable. She might shave the area around the hot spot to dry it out and make it easier to administer medications. Next, your vet will probably cleanse the area with a non-irritating antiseptic solution such as chlorhexidine and may prescribe antibiotics or steroids to treat secondary bacterial infections. 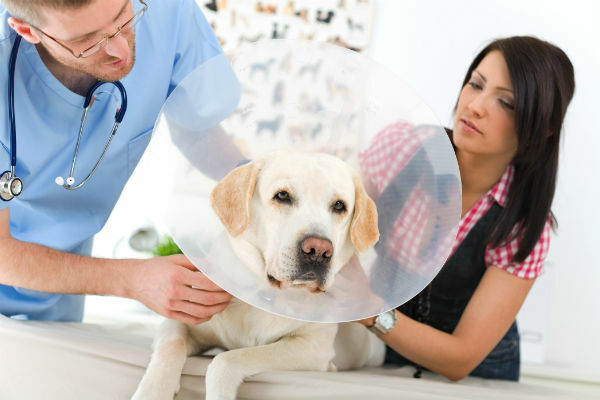 Sadly for your dog, he might be sent home with an Elizabethan collar, known to many of us as the “cone of shame.” This keeps him from irritating the area while the medical treatments take effect. Your vet may also send him home with some pain medications to help with severe hot spots. Hot spots themselves are not contagious, but some of the underlying causes of hot spots, like parasites and fleas, can spread to other pets in your household. Getting these issues under control is crucial for treating hot spots in your dog and preventing more hot spots from occurring on your dog or on your other pets. The best way to prevent additional hot spots on dogs is to diagnose the underlying cause of the itching that led to the hot spot. If the cause is flea allergy dermatitis, for instance, talk to your vet about an aggressive flea control program to keep your dog safe from further infestations. If the cause is a food allergy, switch to a hypoallergenic diet. 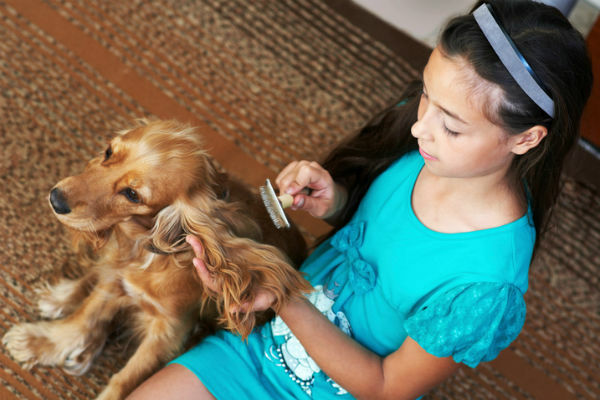 Grooming your dog regularly can minimize the chances of hot spots recurring. Some dogs may benefit from a short clip during the summer months, especially if they like to swim, although it might be a good idea to keep dogs that are prone to hot spots away from the water. Tempting as it might be to try and treat hot spots on your own, you should call your vet for any skin condition in your dog, as skin conditions are often symptoms of an underlying issue. Veterinarians have tools that can help you diagnose the underlying cause of your dog's hot spots to prevent them from coming back in the future, saving you a lot of time and your dog a lot of discomfort. They also have medications that can help speed up the healing process and keep your dog comfortable. Hot spots are not a life-threatening condition, but they are uncomfortable. Don't wait to see if your dog's hot spots resolve on their own. Call your vet and start treating your dog's hot spots as soon as possible.